Tomato season is finally among us and although I don’t have any veggies growing in my tiny midtown apartment, I did receive some goodies from a good friend’s family garden during a recent trip to Savannah. 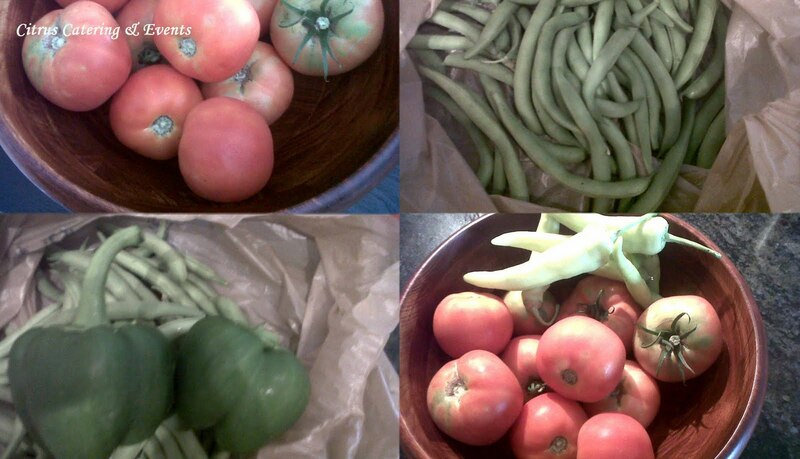 I got all kinds of fresh, organic produce… tomatoes, green beans, bell peppers and banana peppers! 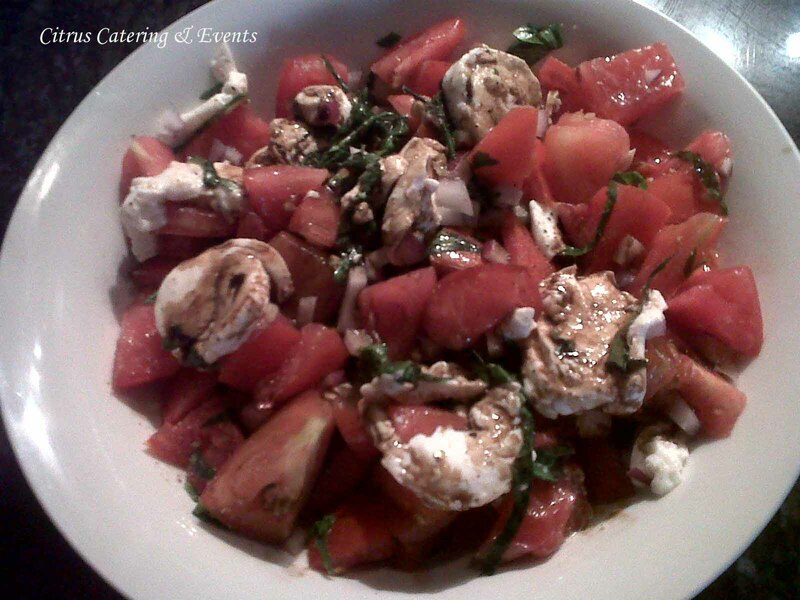 I could resist making a yummy tomato salad with those bright red, fragrant tomatoes right off the vine. I’m thinking some good ol’ delicious Pico de Gallo is up next with the rest of the tomatoes… stay tuned! I love your blog and the way you cook. Toma-toes are def my favorite type of toe! lol. Thanks for reading Dani! Me too, I love Caprese Salad and man those tomatoes were sooooo good!